Feel free to view the rest of the interviews on the related youtube channel. These interviews we consider to be the most important educational groundwork for judicial activism on the land of Southern Africa. The efforts of the Unified Common Law Grand Jury of Southern Africa (UZA) on these pages is a continuance of Johan Joubert’s efforts. According to the U.S. Department of Justice (“DOJ”), deferred prosecution agreements are said to occupy an “important middle ground” between declining to prosecute on the one hand, and trials or guilty pleas on the other. A top DOJ official has declared that, over the last decade, the agreements have become a “mainstay” of white collar criminal law enforcement; a prominent criminal law professor calls their increased use part of the “biggest change in corporate law enforcement policy in the last ten years.” However, despite deferred prosecution’s apparent rise in popularity among law enforcement officials, the article sets forth the argument that this alternative dispute resolution vehicle makes a mockery of the criminal justice system by serving as a disturbing wellspring of unfairness, double standards, and potential abuse of power. The article concludes by recommending that Congress pass legislation to halt DOJ’s ability to use deferred prosecution agreements in the context of corporate criminal law enforcement. The article suggests that if this goal cannot be realized, these agreements will continue to greatly compromise the pursuit of justice, consistency in the rule of law, and basic notions of fairness. Another set of damning bank-chat transcripts led to a $4.25bn fine for the world’s biggest banks: JP Morgan Chase, Citigroup, Bank of America, Royal Bank of Scotland, HSBC and UBS. Authorities in the US, Britain and Switzerland charge that the bank traders conspired with one another in Internet chat rooms to manipulate benchmark currency prices for the euro, dollar and Swiss franc. Like so many other cases of egregious financial fraud over the past several years, regulators used softball tactics to go easy on the banks. No bank was even forced to admit wrongdoing in the orders by the US Commodity Futures Trading Commission and the Office of the Comptroller of the Currency. Regulators avoided court and settled for cash, which the traders won’t pay – the bank’s shareholders will. Officials presented a minimal amount of evidence, lacking the full details of the traders’ misconduct. They sought no judicial review. In short, banks got away with their crimes for a pittance; their stocks even rose on the news of the settlements because the market believes the trouble is over. …No one goes to jail and no one ever gets prosecuted. Under a deferred prosecution agreement, the Justice Department allows corporations to pay a fine, then agree to some enhanced supervision and monitoring. The Justice Department appears to admit this in the US Attorney’s manual, when they describe these deals as “agreements not to enforce the law under particular conditions”. Needless to say, a deferred prosecution agreement never acts as a deterrent. “Deferred” is a convenient fiction; the Justice Department almost never returns to prosecute. Executives never see a jail cell. “It makes a mockery of the law,” says Peter Reilly, associate professor at Texas A&M School of Law. …”One possibility, already mentioned, is that no fraud was committed. This possibility should not be discounted. Every case is different, and I, for one, have no opinion about whether criminal fraud was committed in any given instance. Andrew Peter Napolitano (born June 6, 1950) was the Senior Judicial Analyst for Fox News , commenting on legal news and trials, until he was fired; and, is a syndicated columnist whose work appears in numerous publications, such asngton Times and Reason. Having served as a New Jersey Superior Court Judge, he now teaches constitutional law as a Distinguished Professor at Brooklyn Law School. Napolitano has written nine books on constitutional, legal, and political subjects. Every American who values the rights to life, liberty and the pursuit of happiness, every American who enjoys the right to be different and the right to be left alone, and every American who believes that the government works for us and we don’t work for the government should thank Edward Snowden for his courageous and heroic revelations of the National Security Agency’s gargantuan spying operations. Without Snowden’s revelations, we would be ignorant children to a paternalistic government and completely in the dark about what the government sees of us and knows about us. 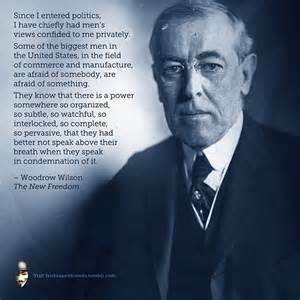 And we would not know that it has stolen our freedoms. When I saw Snowden’s initial revelation — a two-page order signed by a federal judge on the FISA court — I knew immediately that Snowden had a copy of a genuine top-secret document that even the judge who signed it did not have…. This is maddening. The government breaks the law it has been hired to enforce and violates the Constitution its agents have sworn to uphold; it gets caught and lies about it; and no one in government is punished or changes his behaviour. Then we realize that the so-called court that authorized all of this is not a court at all. Federal judges may only exercise the judicial function when they are addressing cases or controversies; and their opinions only have the force of law when they emanate from that context. But when federal judges serve an essentially clerical function, they are not serving as judges, their opinions are self-serving and legally useless, and their apparent imprimatur upon spying gives it no moral or legal legitimacy. Judge Anna von Reitz is currently the most renowned judicial activist of our times. Many people say she is not a judge because she is not registered with a bar association or law society. Contrary to popular belief, courts worldwide and their officers in fact operate under this same Roman system and use the laws of the sea such as admiralty law or civil law or maritime law or law merchant. The officers of these courts belong to bar associations and law societies and are in fact knights and soldiers oathed to HM THE QUEEN which is a secret society and not to be confused with the living woman, namely Mary of Windsor. The cases, brought to the court by several legal and activist groups, include wide-ranging charges of war crimes against Israel. A Palestinian delegation presented documents to the International Criminal Court to try Israel – and possibly Prime Minister Benjamin Netanyahu – for war crimes. Meetings happened for the first time in Amman, Jordan, from Saturday until Monday and will result in a definitive decision on four cases that were already filed with the ICC. If ICC Prosecutor Fatou Bensouda finds that there is enough evidence to open an investigation, the process – the most far-reaching incrimination of Israel for war crimes– could last years. Whistleblowing goes as far back as when recorded history started. What most people do not realise is that Jesus the Nazarene and the Apostles were regarded as apostate and that Jesus was crucified for crimes against the Roman Empire. John F. Kennedy was assassinated for trying to expose a shadow government of secret societies also known by some as “illuminati” or “cabal”. Dr. Paul Craig Roberts was Assistant Secretary of the Treasury for Economic Policy and associate editor of the Wall Street Journal. He was columnist for Business Week, Scripps Howard News Service, and Creators Syndicate. He has had many university appointments. His internet columns have attracted a worldwide following. His latest book, The Failure of Laissez Faire Capitalism and Economic Dissolution of the West is now available. Impeachment is the most important power of Congress. Impeachment is what protects the citizens, the Constitution, and the other branches of government from abuse by the executive branch. If the power to remove abusive executive branch officials is not used, the power ceases to exist. An unused power is like a dead letter law. Its authority disappears. By acquiescing to executive branch lawlessness, Congress has allowed the executive branch to place itself above law and to escape accountability for its violations of law and the Constitution. …Other aspects of our legal protections have been overturned, such as the long standing rule that crime requires intent. William Blackstone wrote: “An unwarrantable act without a vicious will is no crime at all.” But today we have crimes without intent. You can commit a crime and not even know it. See for example, Harvey Silverglate, Three Felonies A Day: How the Feds Target the Innocent. Congressman Greg Walden represents Harney County, Oregon, U.S.A. The Congressman also, openly states of his personal recognition of abusive policies over the last two administrations. He also notes the criminal behavior of agencies and the courts. Born in Montreal in 1929, Peter Dale Scott is a former diplomat, a poet and a writer. He is also Professor emeritus of English literature at the University of California, Berkely. Known for his anti-war stance and his criticism of U.S. foreign policy dating back to the Vietnam War, Peter Dale Scott is an author and political analyst hailed by critics and acknowledged by his peers, including Daniel Ellsberg known as the “man who toppled Nixon”. – The “Deep State” behind U.S. democracy: In his book ‘The Road to 9/11’, now available in French, Professor Peter Dale Scott traces back the history of the “Deep State” in the United States, that is to say the secret structure that steers defense and foreign policy behind the facade of democracy. His analysis lifts the veil on the group that organised the September 11 attacks and which finances itself through international trafficking networks. Regarded as a reference book, The Road to 9/11 already features as recommended reading at military-diplomatic academies. A pernicious cycle of collapsing commodities, corporate defaults, and currency wars loom over the global economy. Can anything stop it from unravelling? “China’s growth is probably less than officially reported. Russia and Brazil are doing very badly. South Africa is flirting with recession. Even India may not be doing as well as was forecast,” says Blanchard, who left the Fund after seven years late last year. As it stands however, he says market ructions still represent a classic case of “herd” behaviour. “The shine has come off the US”, says David Folkerts-Landau, chief economist at Deutsche Bank. “This is a capital preservation environment, not a money making environment,” said Jeff Gundlach, CEO of bond house DoubleLine Capital in his quarterly presentation. Gundlach warned that the U.S. is currently in a “stealth bear market”, where many stocks have now fallen 20 per cent or more, even as the broader market has yet to hit that mark. He also cautioned that full-on bear markets tend to follow in the wake of a stealth market. Bronka Rzepkowski, senior global strategist at Oxford Economics, said that this year will likely see a year of “volatility peaks” as investors ponder whether the bull market in stocks, now in its seventh year, is near its end. “2016 is set to see relatively meagre equity returns worldwide because of weak global earnings growth outlook and unappealing valuations of stock markets,” said Bronka Rzepkowski, senior global strategist at Oxford Economics in a note. The euro will be consigned to a permanent state of malaise as deeper integration will bring no prosperity to the crisis-hit bloc, according to the former chief economist of the International Monetary Fund. In a stark warning, Olivier Blanchard – who spent eight years firefighting the worst global financial crisis in history – said transferring sovereignty from member states to Brussels would be no “panacea” for the ills of the euro. LYNDON H. LAROUCHE, JR. emerged, over the course of the 1970s and 1980s, to rank among the most controversial international political figures of his time. This controversy, which also features such related issues as his efforts to destroy the international drug traffic and his initiating role in formulating what President Ronald Reagan announced on March 23, 1983 as the Strategic Defense Initiative (SDI), is principally rooted in not only domestic U.S., but, also, global political-economic issues. LaRouche As an Economist – Both Lyndon LaRouche’s standing as an internationally known economist, and his exceptional successes as a long-range forecaster, are the outgrowths of his original discoveries of physical principle, dating from a project conducted during the 1948-1952 interval. The collapse of the financial system can no longer be hidden from the populations of Europe and the US. The bankers have panicked — expanding QE money printing, negative interest rates, banks buying their own stock to maintain an appearance of solvency, and talk of “helicopter money,” as if money was the problem. It is not about money, but about the collapse of the real economy. The suicide rate among formerly employed skilled workers is not about money – it is that they have been pushed aside by a satanic policy which cares only about money, not human beings. John H. Kranzler is Professor and Director of the School Psychology Program in the School of Special Education, School Psychology, & Early Childhood Studies. He has taught classes in school psychology, learning and cognition, measurement and evaluation, theories of intelligence, psychoeducational assessment, statistics, law & ethics in psychology, and individual differences. His main area of scholarly interest concerns the nature, development, and assessment of human cognitive abilities. …The Swiss National Bank admitted that it has spent $470 billion on currency manipulation since 2010. Given the Fed’s refusal to disclose any information about its currency swap programs – including denying all FOIA requests on this matter – there can be no doubt that the Fed has been actively funding the SNB’s endeavors. The same goes for the SNB’s huge U.S. stock portfolio, which includes insanely overvalued gems like AAPL and AMZN. Michael Krieg from Libertyblitzkrieg.com: “I took a job at Lehman Brothers where I worked with the Oil analyst in the Equity Research Department. In 2005, I joined Sanford C. Bernstein where I served as the Commodities Analyst on the trading floor. About halfway through my time there, I started to branch out and write opinions on bigger picture “macro” topics that no one else at the firm was covering. These opinion pieces were extremely popular throughout the global investment community, and I traveled around providing advice to some of the largest mutual funds, pension funds and hedge funds in the world. I’ve been saying over and over for years now that the number one cancer in American society at the moment is the disastrous and uncivilized two-tiered justice system. Nothing is more destructive to a society than the realization that a small group of people are above the law, while others remain fully exposed to its brutal and unyielding gavel. Until this situation is remedied, this country will continue to spiral down the oligarch toilet bowl. BRIC nations saw imperial over-reach and, led by Putin, busied themselves preparing for the slow-motion unraveling of the Anglo-American financial empire. The Rothschild/Rockefeller/banking/energy/arms/drugs oligopoly that has enslaved humankind and decimated planet earth for the last few centuries is coming apart at the seams. The arrogance and stupidity of the self-proclaimed “illuminated ones”, who operate their matrix from the city of London, is being writ large for all to see. Their Mideast gendarmes Israel & Saudi Arabia now falter. In early August 2013, two Canadians and COMER “confronted the global financial powers in the Canadian federal court.” They have filed a case against Bank of Canada earlier in 2011, in an effort to return the central bank to the people of Canada by printing its own debt-free currency like it was before 1974. “COMER contends the Bank of Canada, a publicly owned national financial institution created in the Great Depression, is mandated to provide debt-free support for public projects undertaken by federal, provincial and city governments. Not doing so has deprived Canadians of the benefits of larger infrastructure investments, COMER alleges. Among other arguments in its court submission, the group alleges Canada ceded its sovereign ability to conduct independent monetary policy to the “secret” deliberations and control of private foreign bankers. This unconstitutional move, COMER argues, was a result of Ottawa’s decision to join several multinational financial organizations, particularly the Bank for International Settlements (BIS). Headquartered in Switzerland, the BIS is an organization that brings together the central banks from 60 countries to co-operate in the promotion of international monetary and financial stability. Canada joined in 1970. On behalf of the collective COMER, constitutional lawyer Rocco Galati initiated a lawsuit against the Bank of Canada in 2011. This historic legal action builds on constitutional issues: Rocco Galati and COMER accuse the Canadian central bank of borrowing from private banks and not to resorting to loans at low interest rates. The lawsuit filed against the Bank of Canada accuses the bank of diverting from its primary objective and harming Canadian citizens. There has been feedback on a historic battle passed over by the main Quebec media. Based in Ontario, the collective COMER is a research group studying the Canadian currency reforms. According to committee members, the current economic system and monetary policies are the main causes of financial instability in recent decades. The group has focused for some years on the borrowing process of the Bank of Canada, including seeking to understand how Canadian Bank changed its policy on borrowing at low interest rates. The Committee advocates a mixed economy, notably through a return to the original missions dictated by the Bank of Canada Act law. Adopted in 1938, this federal legislation allowed the creation of the Bank of Canada, in the heart of the current Canadian banking system. Since 2011, with the participation of Canadian Lawyer Rocco Galati, the committee has hounded the Bank of Canada through the Supreme Court. Antony C. Sutton — Feb. 14, 1925 – June 17, 2002 studied at the universities of London, Göttingen, and California, and received his D.Sc. from the University of Southampton. He was an economics professor at California State University, Los Angeles and a research fellow at Stanford University’s Hoover Institution from 1968 to 1973. During his time at the Hoover Institution, he wrote the major study Western Technology and Soviet Economic Development (in three volumes), arguing that the West played a major role in developing the Soviet Union from its very beginnings up until the present time (1970). This three-volume series identifies political power in the United States — the power behind the scenes, the hidden influence on Washington — as that of the financial establishment in New York: the private international bankers, more specifically the financial houses of J.P. Morgan, the Rockefeller-controlled Chase Manhattan Bank, and in earlier days (before amalgamation of their Manhattan Bank with the former Chase Bank), the Warburgs. “Ruthless, dishonest businessmen in South Africa have stolen assets of Randgold to the value of R21billion. Subsequently, others have prevented the minorities of the company from obtaining what is rightfully theirs. I cannot stand idly by and permit this to happen,” retired, former senior stockbroker at the Johannesburg Stock Exchange (JSE) and director of the mining company, Randgold, Johann Blersch, stated in his public address. The Banks And The Mining Companies Accused Of Theft. The above was executed during the time of Brett Kebble, from September 1997 to August 2007. Under the watch of the various “controlling organs” such as the bank ombudsman, the various chambers of banks, of business, commerce and industries and mines, under the self-appointed captains of industries as well as under the department of finance under former minister Trevor Manuel and the former head of South Africa’s Reserve Bank, Tito Mboweni, billions were stolen and misappropriated. “Investec retained part of the proceeds of these shares in settlement of its loans to JCI. The balance was paid to JCI. From 1999 to 2005 Brett Kebble stole the bulk of Randgold’s portfolio and sold the shares for R1 900 million. Unchallenged forensic reports show that the initial recipients of the R1 900 million were (a) JCI R900 million; (b) Western Areas R500 million; (c) The Kebbles R400 million and (d) Investec R100 million”, Blersch reflected. “It is incredible that none of the South African regulatory authorities has taken any effective action and that no prosecutions have taken place,” observes Johann Blersch. What most people do not realise is that a treasury report was issued by a bank attorney, Heather Tucci-Jarrief clearly stating the end of the road for the corrupt federal system. Her teams efforts led to the creation of the One People’s Public Trust by which the entire fraudulent system was legally foreclosed in 2012. Neil Keenan is an actor and writer, known for Night Pastor (1998), Inbred (2011) and Cradle of Fear (2001). He has been very involved in the off-ledger global collateral accounts. 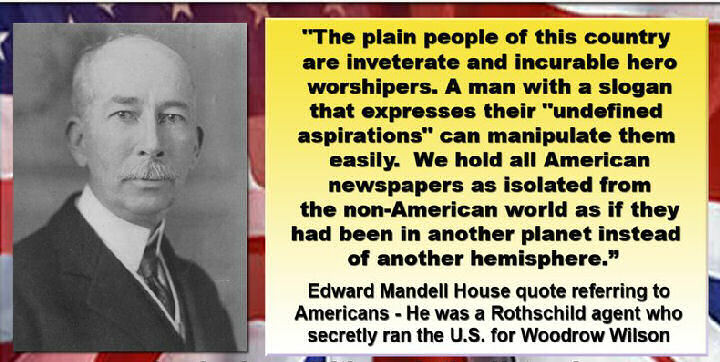 “The Western banking oligarchy’s current global control can be traced back to the Rothschild family’s dominance of international banking in the early years of the 19th century. The long-term strategy of the elite banking and royal bloodline families was simple: Gain control of the global gold supply in order to maintain power through the control of global currency and its underlying collateral. Gold and Debt – that is the essence of this story.